There seems to be some speculation in the skeptic community that not all should be allowed to call themselves “skeptics.” I am not sure I’m comfortable with this idea. That implies that there is someone in charge, someone who has authority, that there is some kind of test that guides who is and who is not a skeptic. We are not a club that offers memberships that can be revoked if someone discovers you’re going to a chiropractor or hiring someone to Feng shui your garden. Recently Pope Francis called out Donald Trump for his reported intentions toward immigrants if he becomes president. The pope said something along the lines of “Trump is not a real Christian because….” To which Trump replied, “How dare he tell me what I am and am not, you do not know my heart.” I’m going to have to agree with Trump on this. Even the head of the Catholic Church, God’s supposed voice on Earth, does not get to label people’s beliefs. I have a very good friend who professes to be Christian. She is active in her church, has been known to help remove demons from her fellow believers, and speaks in tongues occasionally, but she also pirates movies and takes home office supplies. I can’t state that she is not a Christian because she steals, but I can call her out for her actions and point out her hypocrisy. That’s fair game. One of my team members, Julie, thinks that maybe we need to remove the capital “S” on the word skeptic that some people like to use. I’ve been guilty of this myself at times, and possibly I need to rethink my behavior. Doing so makes us look elitist, as if we have superior knowledge and are becoming a clique. People already have enough trouble with the word skeptic; we really shouldn’t push the word into a title. Truly there are “celebrities” within our movement; some are better than others at speaking, writing, activism, and creativeness. But we are human, and we all have the potential to be wrong or to partake in magical thinking. I would hate to think that there existed a committee to judge actions and relinquish titles. What a nightmare that would be. People are appointed fellows of our organizations, and even then I expect the committee that decides who to appoint will have a conversation about appointees’ potential ability to embarrass the organization. Once a fellow, can they be un-fellowed? What would it take for that to happen? I’ve also heard of others who are trying to say that skeptical activism should only be done by the few who have proved themselves worthy of being activists. Again, as if there were some club or association we were supposed to join. I contend that there are no rules; there is no one in charge of us. And I don’t remember voting for a leader. There are people I respect, and people who I would agree with sometimes and sometimes not. Activism is done by people who…well… do activism. If you have an issue with something that you think is problematic, then have the courtesy to contact that specific person privately and share your concerns. Possibly someone will learn something, and a new stronger union will be formed. If after a dialog about the activism you are still not supportive, then possibly go public with your concerns. Sometimes it happens by accident. For example, Myles Power was attending a Psychic Sally Morgan show in Middlesburgh, United Kingdom, in 2014 when she made one of the biggest blunders in public in her life. Psychic Sally’s show consists of people turning in photos of people they want to get in touch with—you know, people who are now dead. Well Sally projected an image of one of these photos on the big screen and gave a reading for the woman in the photo, clearly stating that she was dead. When Sally did not get a positive reaction from the woman who had submitted the photo, Sally kept trying to make a hit. It turns out that the audience member was confused and submitted a photo of herself from years ago, and she was very much alive! All the statements Sally had made about her did not fit at all. The audience was all aflutter, and Sally was unable to recover the audience’s respect for the rest of the show. Myles Power is a blogger and has a popular YouTube channel. He was able to get the story of what happened out to his followers, and it went viral. Psychic Sally was so upset that the next time Power tried to attend her show, she had him thrown out. If Power was supposed to seek out approval from some elite skeptic group or person, then we probably would not have been able to giggle and glee over the grief vampire’s blunder. This gets me to the issue at hand. 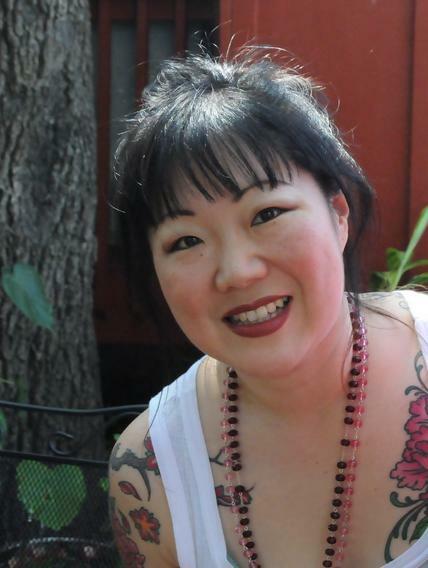 It has recently been brought to my attention that comedian Margaret Cho will be onstage for the 2016 Reason Rally. Okay, that is nice. I’m sure she is really funny and is known as an atheist. But what I found odd was that she would be speaking at an event with people like James Randi, Eugenie Scott, Lawrence Krauss, and the SciBabe. I mean, those are all names that if we had skeptic ID cards, they would be the ones doing the issuing. Why would Cho—who is a 9-11 truther, a fan of anti-vaxers Jenny McCarthy and Rob Schneider, and also a promoter of psychics—be on stage at the Reason Rally? Probably because the organizers of the Reason Rally didn’t know about her nonskeptical beliefs and hired her because she is an atheist and famous and funny. So now what? Should the Reason Rally uninvite her once they become aware that she isn’t exactly a good fit for a conference based on reason? Does this open the door to having Uri Geller addressing us from the next CSICON? Or Andrew Wakefield at the next Science-Based Medicine–sponsored event? Should we give these people a platform to further their anti-science nonsense and promote woo, as well as pay for their hotel and travel expenses? I’m not sure I have the answer. I think it would be really interesting and probably would get butts in the seats. Most of the skeptics I know have insulated themselves on their social networks and rarely hear an outside opinion. Maybe audiences need a bit of a shakeup, challenging what they think is real. I understand that Geller is quite charming, and I think that seeing that firsthand would be really instructive. Calm down everyone, I really doubt we will see Geller attend anything run by CFI anytime soon, but it is something we might want to start thinking about. Back to Cho. The biggest problem with having someone like her who is known for her comedy and not known for her support of the paranormal is that once she stands on that stage, she now represents us. I want to pause there for a moment to let that sink in. “Us” is anyone who is challenging their beliefs. “Us” is anyone who calls himself a skeptic. They aren’t voted in, but they can participate, and they can be inside the tent—because there is no tent. There is just us. Human beings for better or for worst. Once we have addressed that, then we can move on. We should be embracing anyone who is trying to understand and is willing to learn what is really going on when someone feels better after taking a homeopathic pill or gets acupuncture or ear-candling. What I hope happens with Cho is that she will sit for the rest of the lectures and listen. I hope that someone such as Randi or Eugenie Scott takes her aside and has a talk with her explaining that it is unlikely the spirit of Robin Williams contacted her when she sat for a sitting with grief vampire Tyler Henry on his Hollywood Medium show this last February. E! claims that Henry does not know who he is going to read beforehand and is unaware of who is who in the celebrity world. I would like to know how they knew that Henry did not know who Margaret Cho was unless they asked him if he knew who Margaret Cho is. Funny that she was “contacted” by fellow comedian Robin Williams and not someone else in history like maybe Florence Nightingale. Guerilla Skepticism on Wikipedia (GSoW) has tried to embrace this attitude and has spent considerable time rewriting Wikipedia pages for people who have shown skepticism in some areas but may still endorse belief in the paranormal. The most recent example is UFO researcher Karl T. Pflock, who wrote the book Roswell: Inconvenient Facts and the Will to Believe. He spent years researching the Roswell incident and concluded that it was a weather balloon. Yet he continued to believe in alien spacecraft visiting Earth. Would he have been asked to represent us onstage at a Reason Rally? If there are sides, this man is strongly in each camp. To label him only a believer or only a skeptic would be untrue and disingenuous. Of course the most common example given is that of Bill Maher, whose TV show is a delight to see when he is attacking religion or 9-11 Truthers, but skeptics cringe when he attacks evidence-based medicine. Martin Gardner, Paul Offit, and Steven Novella have been outspoken with their criticism of Maher over his views of vaccines. Oncologist David Gorski wrote that the Richard Dawkins Award given to Maher in 2009 was inappropriate. Still, Maher is heralded as a terrific voice in the world of reason. Maher even serves on the board for Project Reason. Which gets me down to the crux of the matter. Being an atheist does not by default make you a skeptic. And the reverse is also true; being a skeptic does not make you an atheist. I have known many people who continue to believe in a deity, some in a Deist manner and others in a more personal god that interests himself in the world of humans. But these same people claim to be skeptics because in every other aspect they reject the paranormal. In my own small world of local groups, the one I founded in 2007 and continue to run is Monterey County Skeptics. We have no litmus test for skepticism; everyone is welcome. We have alternative medicine practitioners, crystal healers, conspiracy theory believers, anti-vax supporters, and believers in psychics. If you move them off their specific area, they are in total agreement with what a scientific skeptic would advocate. We don’t challenge their specific paranormal belief. Instead, we try to talk about something we would agree on such as Bigfoot, religion, or North Korea. This is one of many things I learned from Brian Dunning, who advocates that you need to keep the doors open and conversation flowing. If you find something to agree on that is “kooky” then you can eventually (hopefully) help them to understand why their belief in their paranormal claim does not stand up to evidence either. I myself believed in all kinds of unscientific things growing up. I was raised a Southern Baptist attending church several times a week. Though I struggled to believe in what I was being indoctrinated in, I still believed in Sasquatch (Bigfoot was what the uneducated called him) because my father believed and because I saw a movie about it. In my pre-teen years back in the 1970s, I believed that if the media said it was real then it was real, because otherwise why would they invest all that money into making a movie about it? I also believed in sun signs, because I had a copy of Linda Goodman’s Sun Signs book that I had practically memorized. I drew charts and analyzed all my friends. That lasted until I was about seventeen. Before you roll your eyes at my gullibility, remember that in that era we had really no place to find critical information about the paranormal. There was no Internet. TV in my world had two channels, was black and white, and only showed the programs that my father wanted to watch. Lawrence Welk and Hee Haw were not doing shows on the paranormal. The library was our only option, and books there were mainly pro-paranormal. Wikipedia would not be invented until 2001—imagine that. And that is what I want for Margaret Cho and all the people like her—people who have challenged some aspects of their thinking and maybe need some help continuing down that hallway. Of course this is all just my opinion, and I’m sure the organizers of the Reason Rally have better things to do. But what I would love to see is a conversation with her beforehand and to see the conference through her eyes. Hopefully she will write about her experience. Maybe she can give us some insight on how best to educate. What I’m trying to get across is that people such as Cho, Maher, and others who profess to be critical thinkers are free game when it comes to public discourse. When they lecture about the paranormal, then they can be asked to explain their support of the paranormal that most would say is not evidence based. I’m not cool with blacklisting; I prefer discussion. Peer-to-peer. Thinker-to-thinker. I want to understand how they are backing up their claims. If they give a reason that still invites more questions, then we need to ask them again, and that is where discussion comes in. It’s fair game to state that after looking at their reasons for holding their paranormal belief, I have a problem with that and state why. Then more discussion follows. If conference organizers want to look at this and decide that they think that they are not a good fit for the next conference, then that is their right. Two of my team members, Cathy and Mike, feel that unless we have knowledge that Cho will use the stage to support psychics, or conspiracy theories, or anti-vaccination—and as long as she stays on topic with her anti-religion beliefs—then we have no cause for worry. I still think that this is a gray area and something we should really consider discussing. I’m sorry to say that I can’t afford to attend the Reason Rally this year. I’m in California, and that is quite a trip for my son and me. There is no way there would be peace in my household if I went and he didn’t. We discovered termites when painting the house this winter, so there went the vacation money. Stirling and I will be watching the posts and photos, green with envy. Hopefully, I will find some great secondary scholarly sources that I can use to add to the Reason Rally Wikipedia page that I rewrote after the last rally. I want some terrific photos for the Wikipedia page, so get on it. I would love to stand side by side with so many other critical thinkers. Just know that I will be with you all in spirit.